Trauma - direct injury to the femoral joint. The hip joint is a weight bearing joint that can take a lot of abuse over the years. Faulty biomechanics from the feet can have a destructive effect on the hip joint. 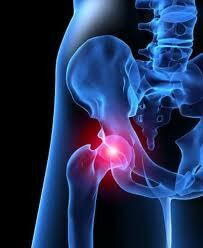 This is where custom orthotic inserts play a role in preventing breakdown and treating hip pain. Have your questions about Hip Pain answered by Dr. Michael Horowitz by calling 604-737-3668 or by filling out the form below. He will respond promptly.